This husband and wife team have been collaborating on furniture since the early 1990’s. 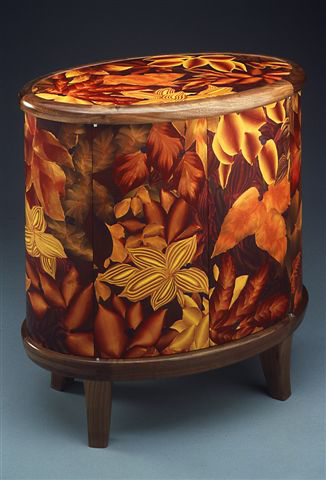 Bonnie creates the polymer veneer and JM is the woodworker. 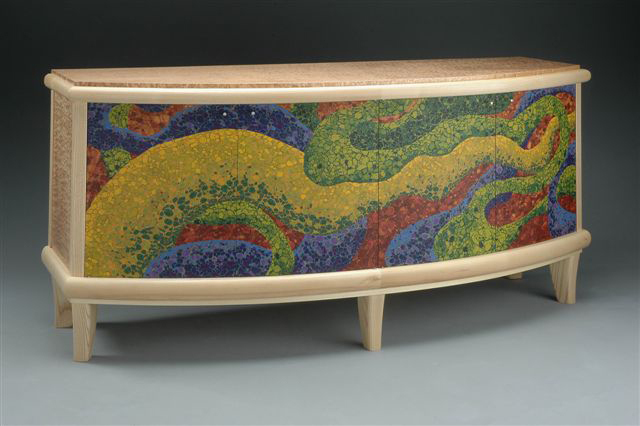 The design was inspired by terrazzo flooring, water currents and tidal charts. Once the colors were chosen and the pattern laid out the design took on a life of its own – becoming more animate.